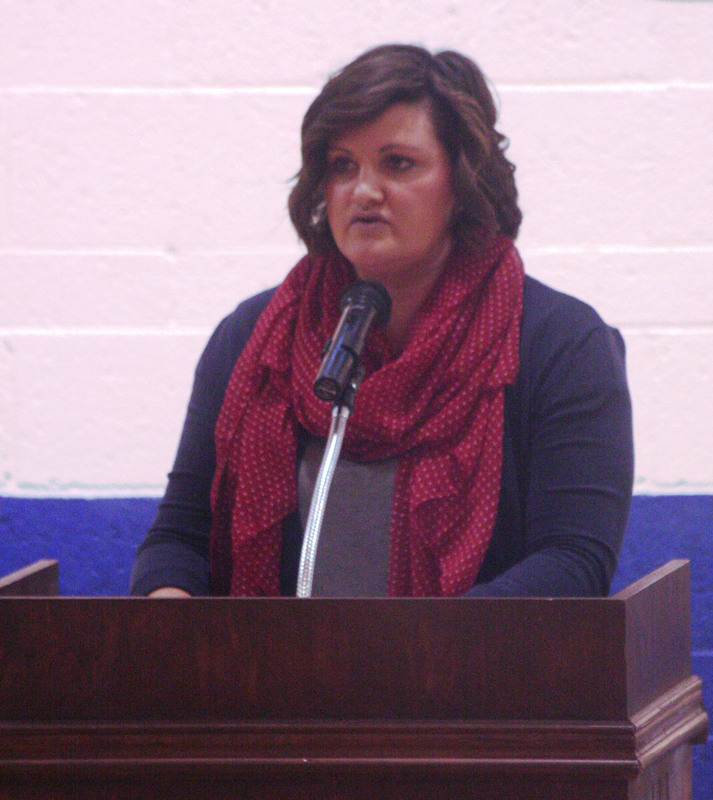 On Veteran's Day, November 11, 2015 the Karval Student Council held a ceremony honoring those who have served. A hymn for each branch of the military was played. Their flag was presented and members of the branch stood. 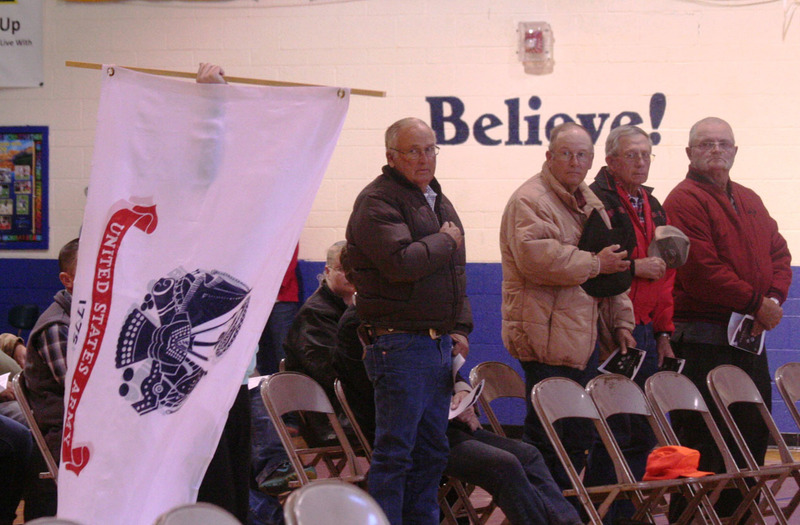 Then the POW flag entered and a moment of silence was observed. After the ceremony, all students were encouraged to thank a veteran, then everyone was invited to join the students for lunch. Ryan Clark, Student Council Advisor, welcomesd veterans, community member and students. The Army flag entered members of the Army at attention. 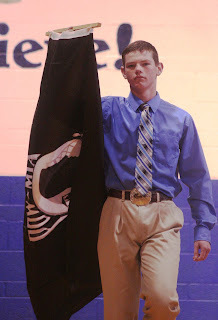 Wade Yoder presented the POW flag. Members of the choir directed by Sarah Nuss performed at the Veteran's Day Ceremony. Left to right Emily Nelson, Anna Strickland, Kaycee Strickland, Maggie Reid, Lyndee Yoder, Marissa Harris, Jordan Bautch, Maggie Cordor, Braydon Fox.